If you’ve read a few of my blog posts, you will probably get a sense of how much we love Southern Italy. Beautiful beaches, mouth-watering food, endless sunshine, fabulous wine…really, what’s not to love? Here are our favourite Italian beaches, in no particular order (because rating them in order would be impossible). It must be said though that the best way to experience the islands, in particular, is by boat as that way you can access the swimming spots that are not accessible by foot. Favignana is one of the Aegadian islands, situated off the coast of Sicily. We flew into Palermo then drove to Trapani to get the ferry to the island. 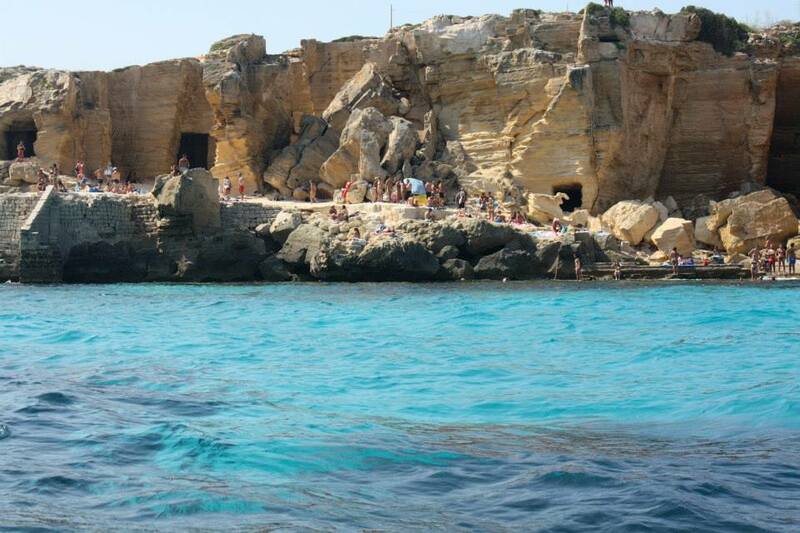 Cala Rossa is just one of the beaches on the island and the water is like swimming in the Caribbean. 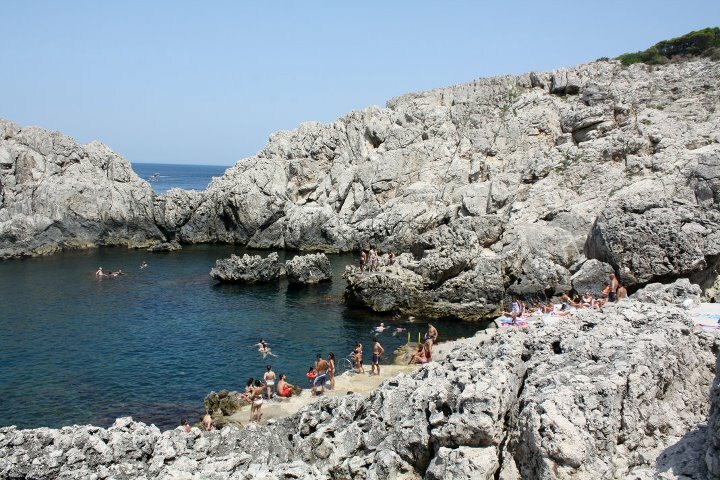 Cala Rossa, like many Italian beaches, is not a sandy beach – it’s rocks, so accessing the water can sometimes be tricky. There are many places to hire a boat, which then makes for easy swimming. Ponza is an island in Lazio. We flew in to Rome, got a train to Formia and then a ferry to Ponza (it sounds much longer than it actually was). Cala dell’Acqua is a bit of a drive from the main town (around 15 minutes or so) but it was right near the holiday villa we were renting. It’s not very crowded so is a great place to swim and relax. There aren’t any restaurants but there is a little van selling fresh sandwiches. If you have your own transport then it’s only 5 to 10 minutes to the nearest restaurants. Taormina is a town on the east coast of Sicily and is about a 45 minute drive from Catania airport. Isola Bella is a stunning beach, which is fairly easily accessed via stairs (not much fun walking back up). There are a couple of restaurants at the top of the stairs with spectacular views over Isola Bella, our favourite being il Gabianno, although it’s best to go at lunch to enjoy the view. 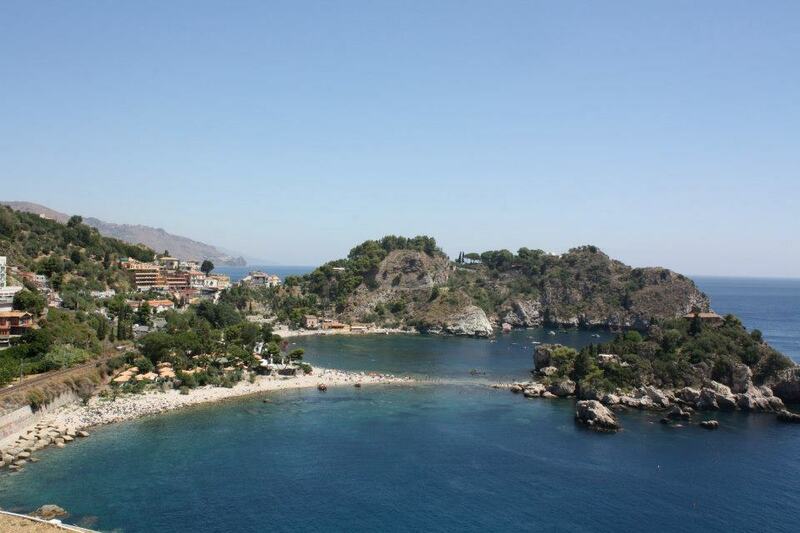 Here’s a whole post on how to spend a week in Taormina. 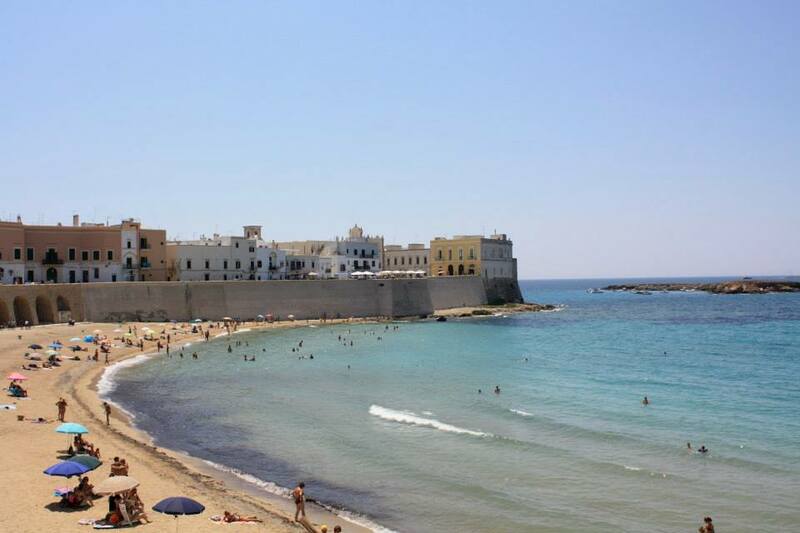 We love Gallipoli in Puglia, which has miles of beach all along its coastline in the new town. In the old town, you will find Spiaggia della Purità, which is a little beach surrounded by restaurants and apartments where the locals live. Really easily accessible and family friendly. In Capri, most people head for the very expensive beach by the Faraglioni. Don’t get me wrong, it is beautiful and iconic but it’s also a very long walk, which is torture going back up as it’s very steep. 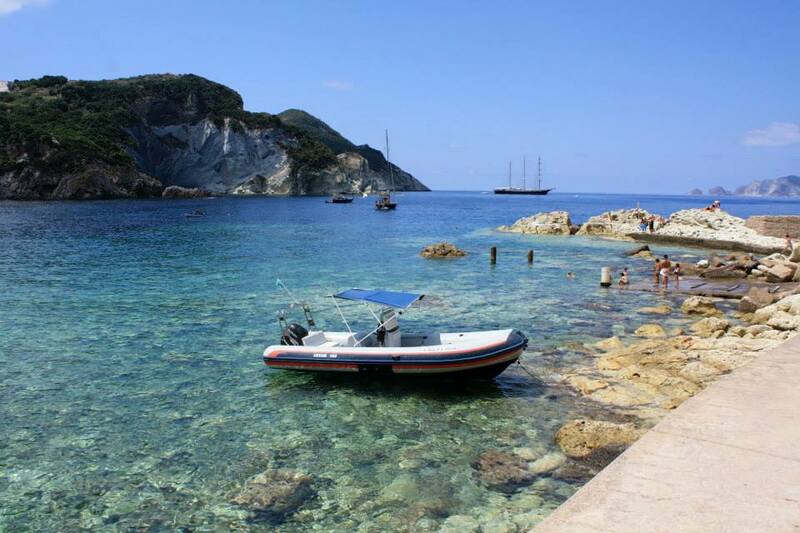 Head for the free Faro (lighthouse in Italian) beach in Anacapri and swim with the locals. The only way to get there is to drive, get a taxi or the bus as it’s not in walking distance. If you love jumping off rocks, this is your beach. If you prefer something a little more comfortable, you can pay to access Lido del Faro. They have a great restaurant too. Liked this post? Why not pin it? And now I want to go to the beach!! These beaches are stunning and I just wish I was a bit closer as its a while since I felt sand between my toes and the warm waters lapping round my feet!! Thanks for the wonderful post and the inspiration – I shall definitely be adding these to my wish list!! No problem. Hope you get to visit one of them soon!